The typhoon raging across the Philippines these past few days has cast a dreary, somber mood upon me. It’s not fun being kept from going to work because of the constant worry of being stranded or getting caught in a road accident. I feel caged and restless. Perhaps others out there also feel the same. 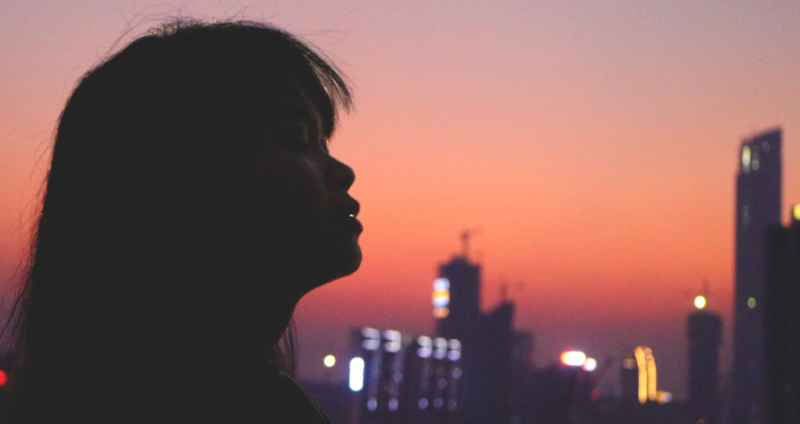 Moreover, as much as it’s pleasurable to linger in bed all day cocooned in a soft, warm blanket, this joy is marred by the thought that other people somewhere in the country are suffering because of the damages wrought by this constant raining. After the trauma that was Typhoon Ondoy, it’s been hard to take the rain lightly. 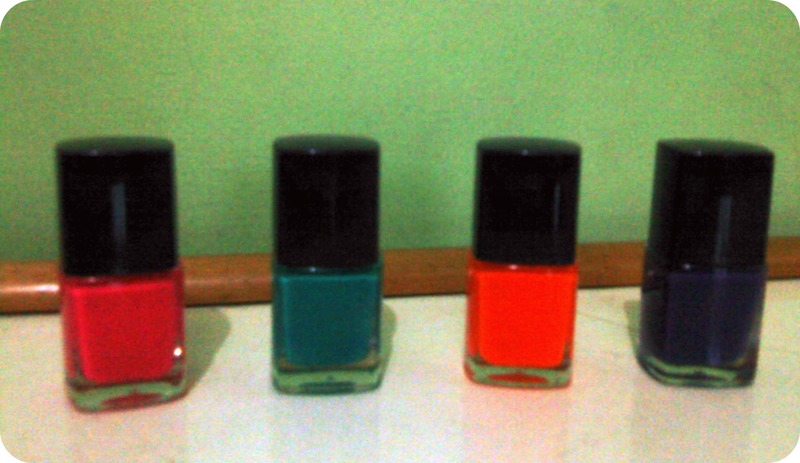 Before I ruin everyone’s mood completely, though, let me cheer things up with these Love & Beauty Intense Nail Polishes from Forever 21. I’ve had these since March but never found the time to write about them. Today, however, seemed like the perfect time to finally review these. 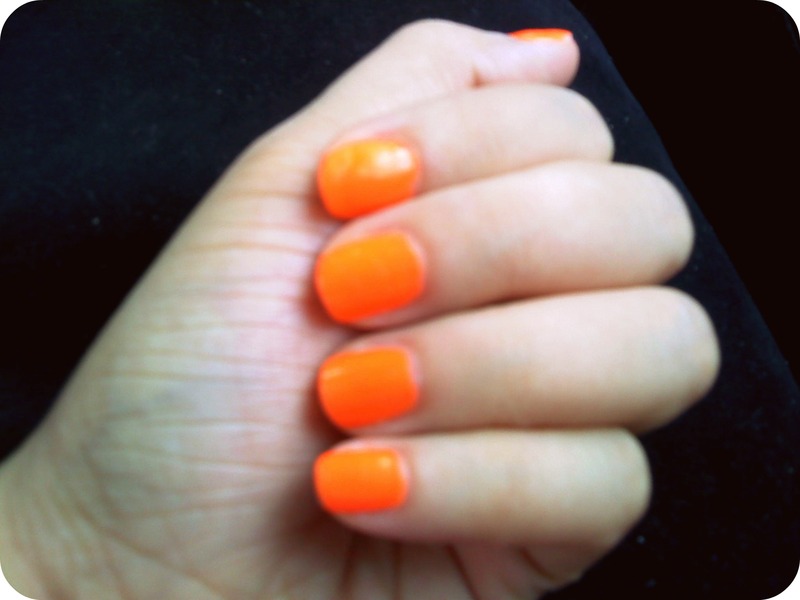 There’s nothing quite like bright nails to lighten up the day. 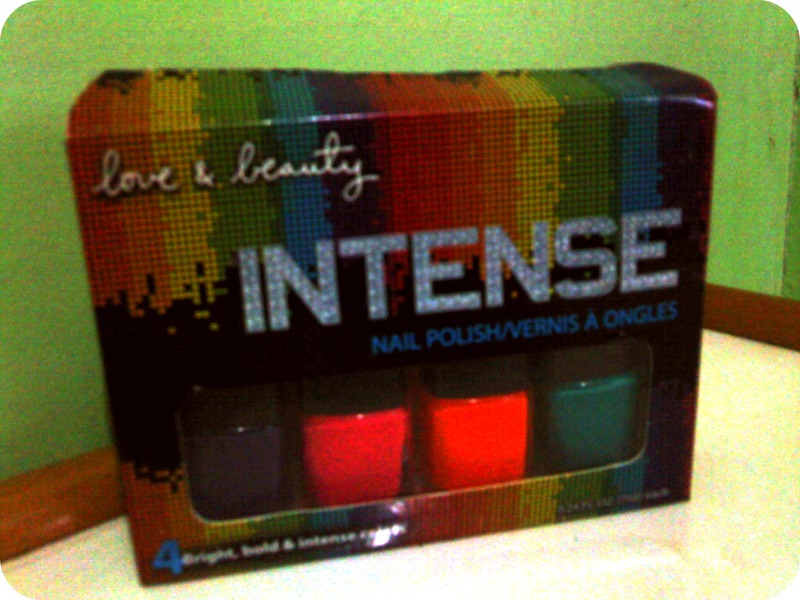 This set of nail varnishes retails at about PHP308.50. Not bad, I think, for four shades containing 7 millimeters’ worth of products each. 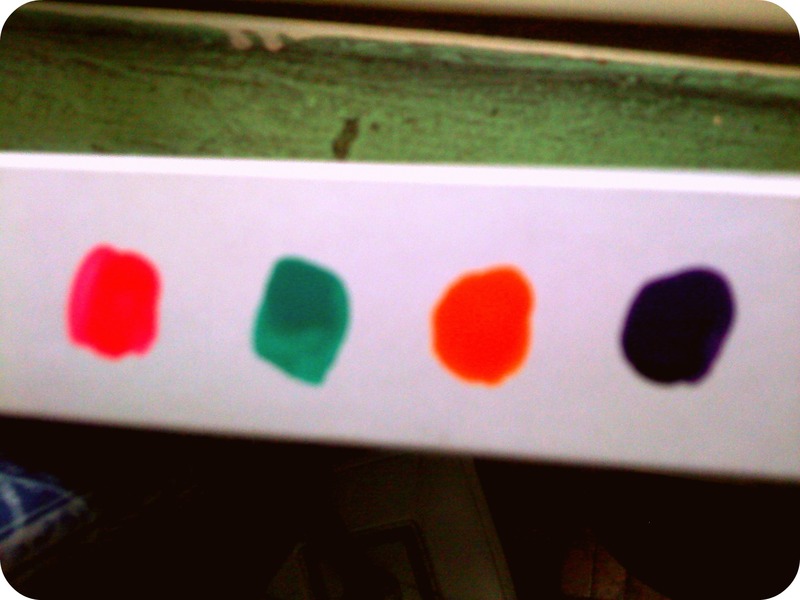 The shades are absolutely fun and bright, just the way I like my colors, and the pay off’s really good. One coat is enough to get the color seen on the bottles. In case my photos are more rubbish than usual, the shades are as follows (as best as I can describe them, from left to right): Highlighter Pink, Sea Green, Highlighter Orange, Deep Purple. All these shades have a matte finish that’s almost like plastic – perfect as glitter and shine would make these too much. These are definitely worth giving a try. Over-all, I’d rate it as 9/10.